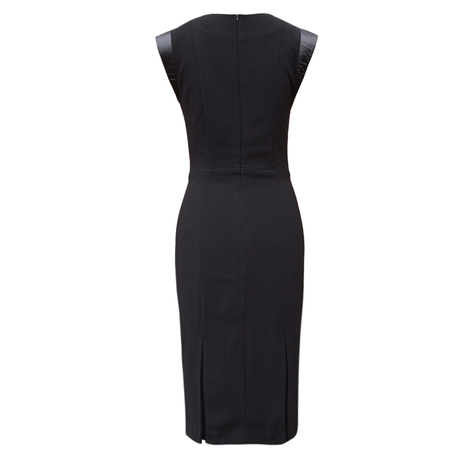 A fitted knee-length black dress with leather capped sleeves, featuring double inverted pleats to the back where it secures with a concealed zip. In beautiful soft-touch fabric, Roma is the essential 'little black dress' petites have been looking for. It is fully lined with stretch for comfort when worn from desk to dinner. Roma is a fitted style but is functional for work as the fabric has stretch and the double pleats to the back allow easy movement if you have to climb into a taxi and still maintain modesty! COMMENTS : I loved the fit of this and the soft stretchy fabric. Its definitely my 'Friday dress' which I wear from work to cocktails. For me the sleeves were a bit over powering at work so I fold them over/upside down and they look great, then fold them out for the evening. COMMENTS : It's comfortable to wear and good quality. COMMENTS : I'm falling in love with black more with this fantastic dress! I love wearing it! COMMENTS : It's one of those fabulous dresses that I will always have as a staple in my work wardrobe. Lined and well made. Wasn't too keen on the pleats at the back but looks great when worn and makes the dress unique. 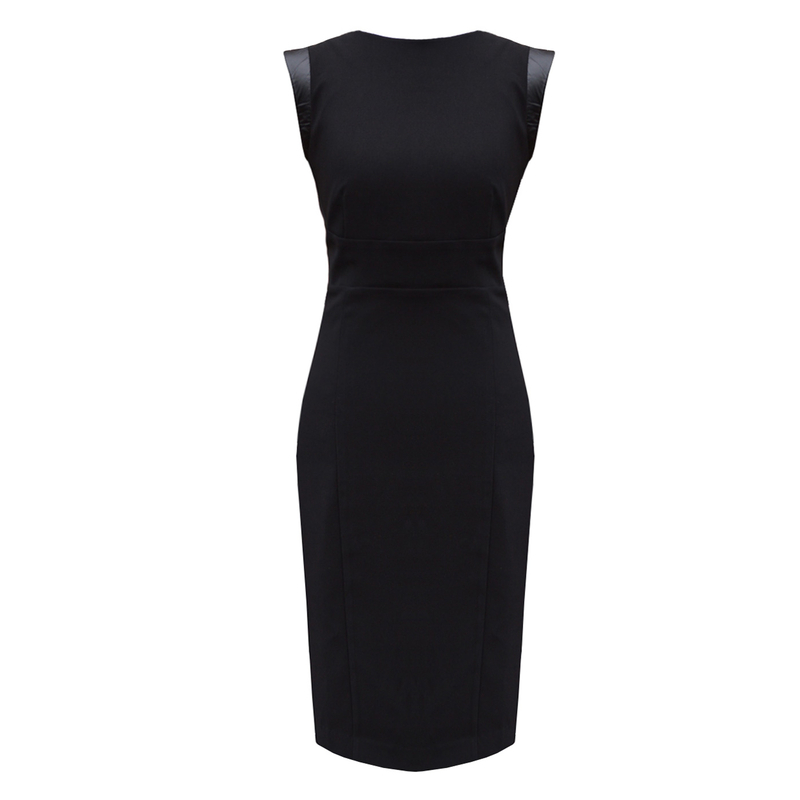 This petite black dress is a versatile and timeless piece because it can be dressed up or down with any colour or print and looks extremely chic with the subtle leather detail. Roma is a modern style suitable for work and can be worn over and over again with different coloured belts, blazers, cardigans and heels to look fresh and unique each time. Click here for inspiration to see how we styled this dress.